June 17, 2008. 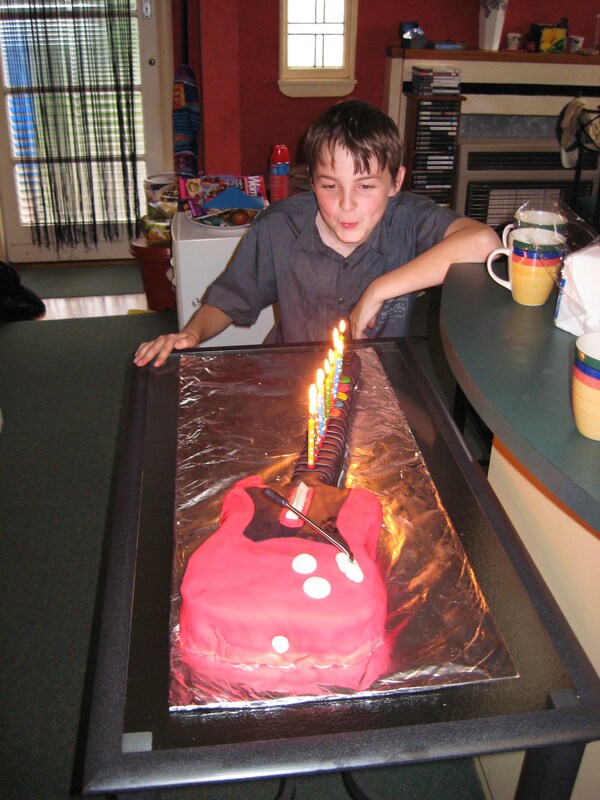 Tags: 13, Birthday, birthday cake, boy, guitar, guitar hero. 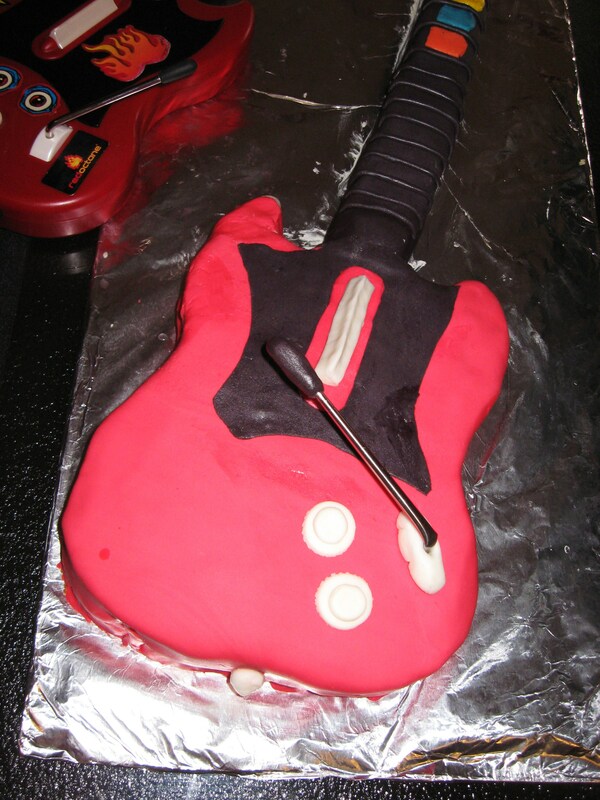 Baking, Birthday, Cake, Uncategorized. June 18, 2008 at 7:08 am. Permalink. June 18, 2008 at 10:38 am. Permalink. Hi there. 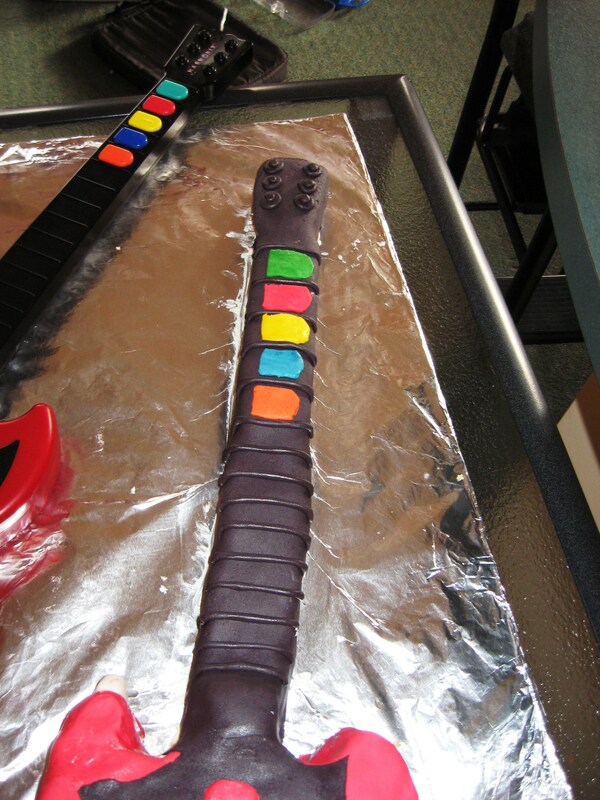 Your guitar cake is very impressive…. as is that rainbow coloured cake. Do you make the cakes to order. 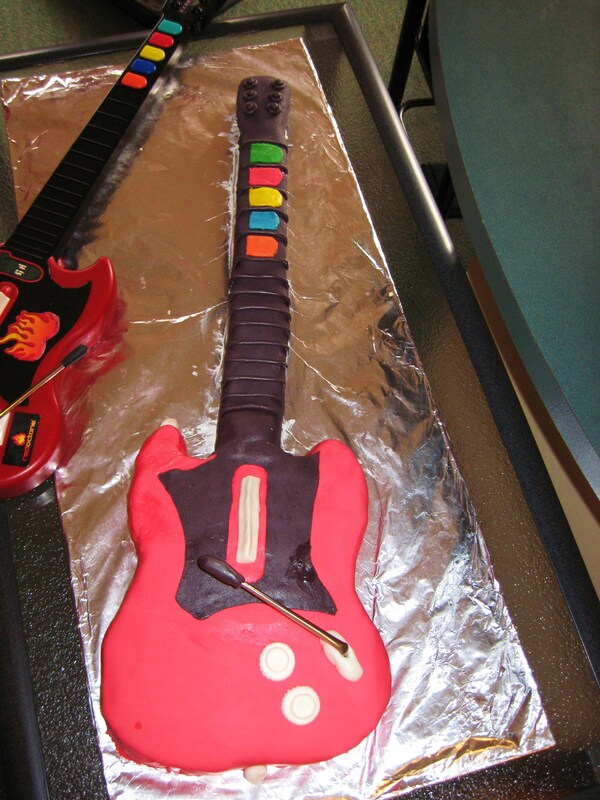 I am after a birthday cake for my neices third birthday…. either A dora cake…or a cool jungle animal….perhaps a giraffe? How much do you charge please? Thanks. July 30, 2008 at 10:16 am. Permalink. 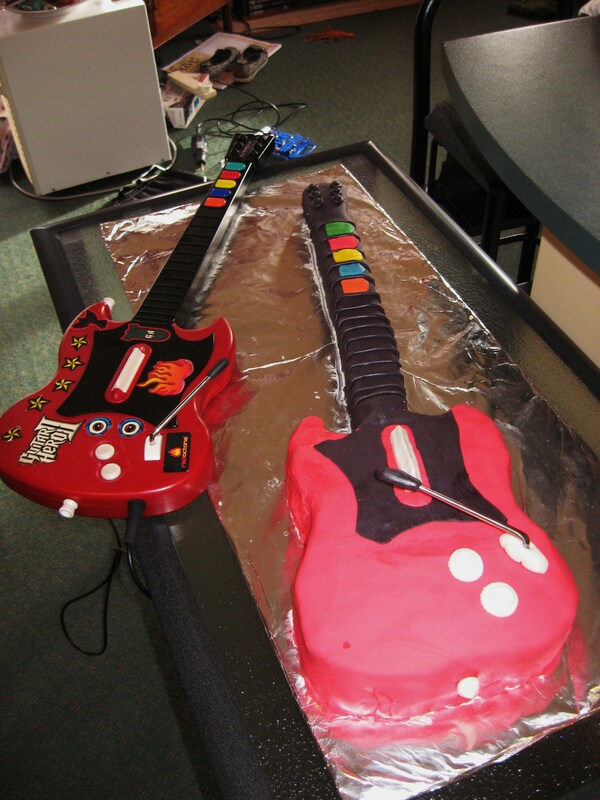 So far I have never made a birthday cake to order so I am not sure how much it costs. If you like I can add up the total cost of materials and try to give you a rough estimate. If you decide you would like me to do that, could you please email me some photos of the sort of thing you’re after just so I can get an idea. July 30, 2008 at 11:28 am. Permalink.